According to Jamil, it is possible to simply rack the beer off between the two layers of hop detritus. Well, we tried that. We got a little bit farther than the point at which I took the picture and then the auto siphon got hopelessly clogged with hop schleck. 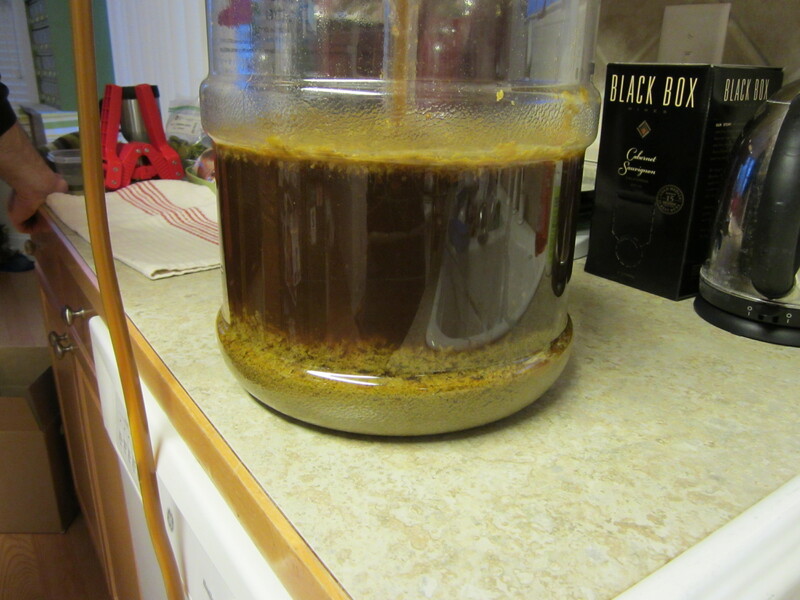 But there was still a lot of beer left in the carboy – we couldn’t waste it! What to do? What to do?!?! Even with our heroic efforts to save as much beer as possible, we bottled into 6 x 12 oz bottles and 17 x 22 oz bottles. That’s 7 fewer 22 oz bottles than we normally get out of a 5 gallon batch of beer, which stinks because it smelled delicious and DB was practically drooling over it. If the beer is not ruined and if it is as delicious as we hope, we may try brewing it again and change the way in which we dry hop. Perhaps all those people who recommend using a hop bag for dry hopping are right? This entry was posted in Brewing and tagged Surly Furious, WeizenKat by BrewsterMama. Bookmark the permalink.